The building started in Bannak, Montana, as the Beaverhead County Courthouse. 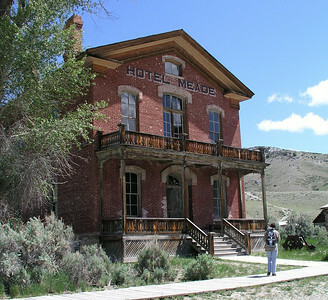 It was vacated in 1881, when the county seat was moved to Dillon, and remained empty until circa 1890, when a Dr. John C. Meade bought it and turned the building into a plush hotel. It operated off and on into the 1940s. 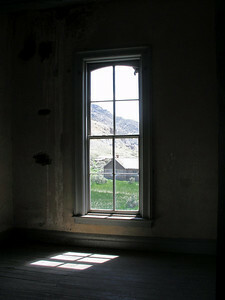 View of Bannack, Montana, from inside the Hotel Meade. 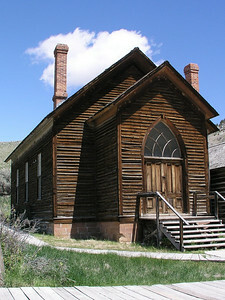 Methodist Church in Bannack, Montana. In 1877, it was the first building in the former Montana territorial capital to be put up exclusively for worship. More than 50 buildings remain in what is now a state park. Bannack was founded in 1862 after gold was discovered in Grasshopper Creek, and it remained a mining town into the 1930s. 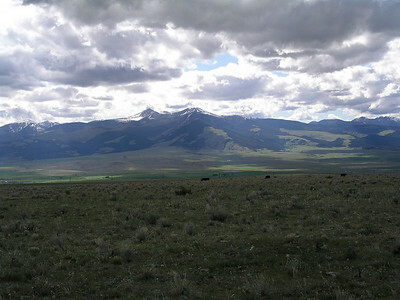 What was once the Custer Battlefield is now the Little Bighorn Battlefield in south central Montana. 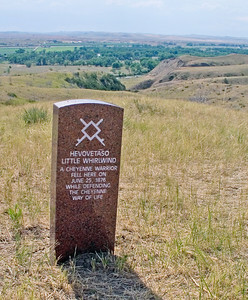 In recent years, markers for fallen Indians have been added to those for the dead from Lt. Gen. George A. Custer's 7th Cavalry command. 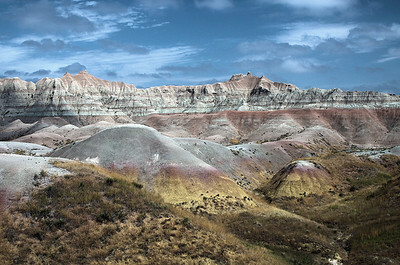 So they are named at Badlands National Park in South Dakota. 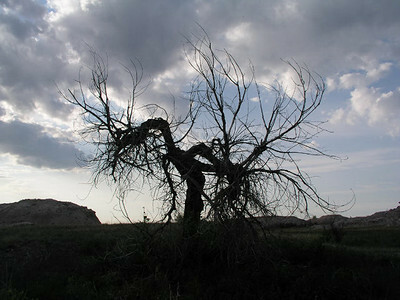 This one at Badlands National Park. 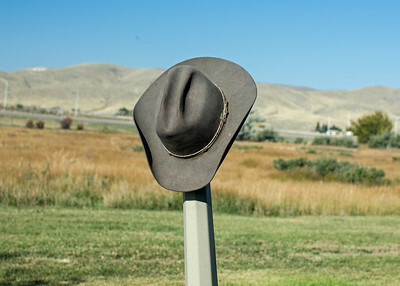 You might not have any other reason to be in Ingomar, Montana, but this cowboy saloon makes it a worthy stop. The Jersey Lilly is on the National Register of Historic Places, with a pressed-metal ceiling, an old backbar, and outhouses in back. The menu features chuck wagon beans served in an enameled pan, plus a do-it-yourself plate of cheese, onion, sliced orange and Saltines called Sheepherder Hors d'oeuvres., The town dates to 1908 and once billed itself as the "Sheep Shearing Capital of North America." 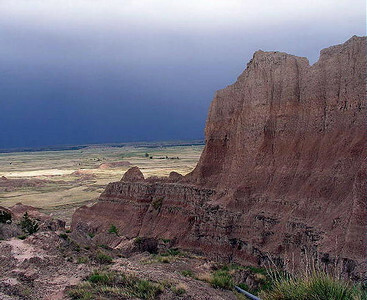 It went into decline after a devastating 1921 fire and the Great Depression. Only a handful of people live there. 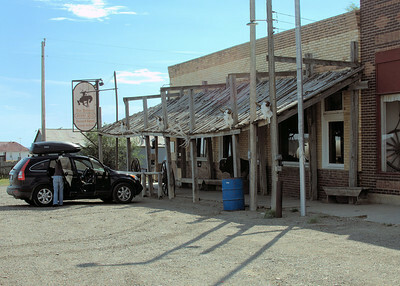 This is a modern reconstruction at the Montana ghost town. 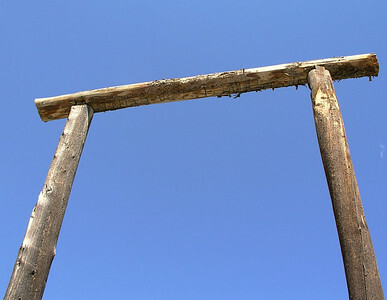 The original was destroyed by vandals after being used to hang five men. One was the town's outlaw sheriff, Henry Plummer, who was leader of a gang of murderous robbers called "The Innocents." After pleading his innocence, Plummer asked the Vigilantes to "give me a good drop." They obliged. 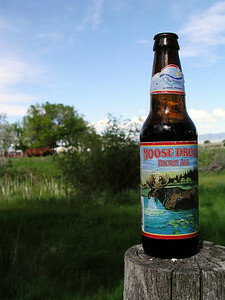 Moose Drool Brown Ale is a brand of Big Sky Brewing in Missoula, Montana. 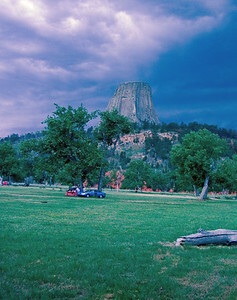 A storm blows by a campground below the monument in Wyoming No saucers in sight at this setting for the movie "Close Encounters of the Third Kind." At the Little Bighorn National Battlefield near what is now Crow Agency in Montana. The battle was the most famous action of the Great Sioux War of 1876-77, climaxing with the annihilation of Lt. Gen. George Armstrong Custer and five companies of the 7th Cavalry that he commanded. 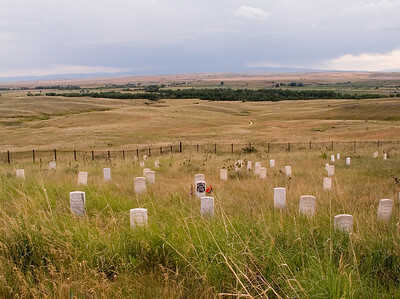 These markers, including Custer's with the black emblem, were erected to show where Custer and other members of his command fell in the final minutes of the battle. The huge Indian village the soldiers had attacked stretched along the Little Bighorn River, where you see the line of trees. 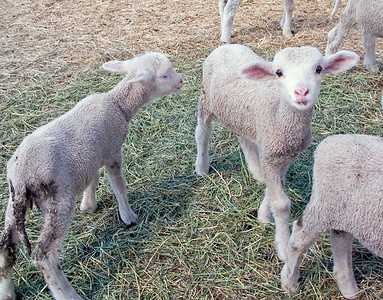 These are getting their start on life at the Rebish Ranch in Dillon. 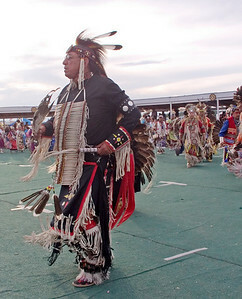 A 2006 gathering on the Northern Cheyenne Reservation in Lame Deer, Montana. 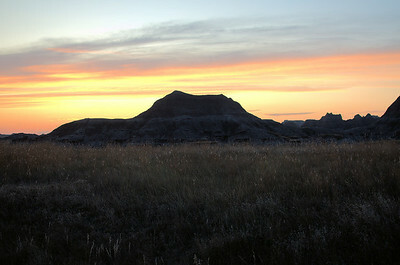 In the foreground are outcroppings of the Badlands, South Dakota. 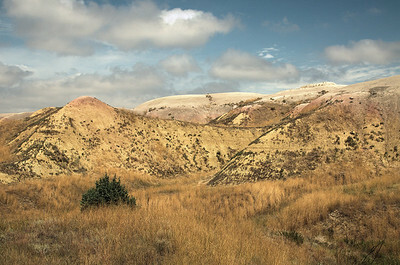 Medicine Root Trail in Badlands National Park, South Dakota. 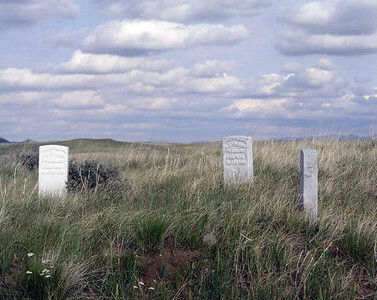 Granite markers show where soldiers fell in the 1876 Battle of the Little Bighorn near what is now Crow Agency, Montana. 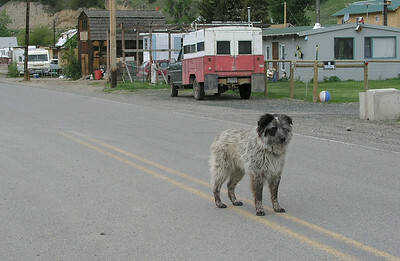 Basin, Montana, has just a handful of streets, and this dog stood guard on the main road into and out of the town. Despite the fearsome look, he was no cur. 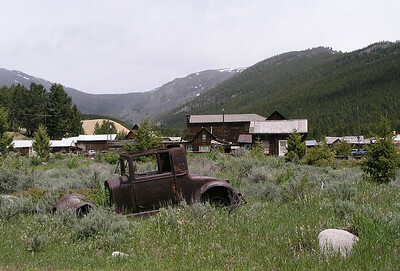 It is one of the better preserved western ghost towns. 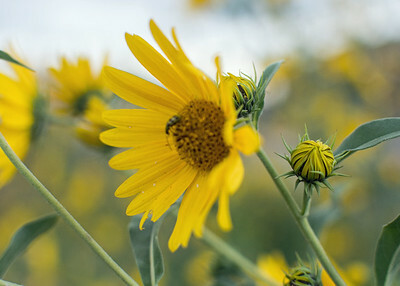 Elkhorn had its heyday in the 1880s and 90s, when it flourished on silver and gold mining. 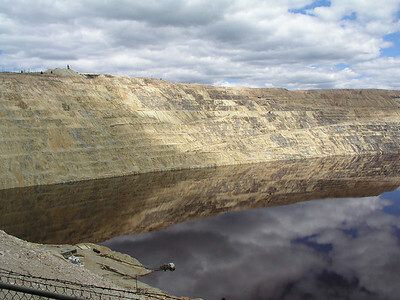 This former open pit copper mine in Butte, Montana, is filled to a depth of about 900 feet with very acidic water that is laden with heavy metals and other dangerous chemicals. In 1995 a flock of migrating snow geese landed on the water and perished. 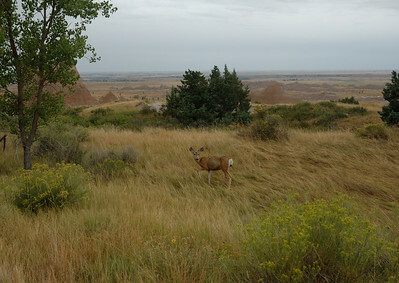 Mule deer in Badlands National Park, South Dakota. Westeners have a use for them. 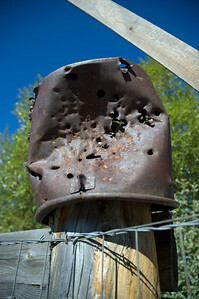 This one was target practice in Basin, Montana. 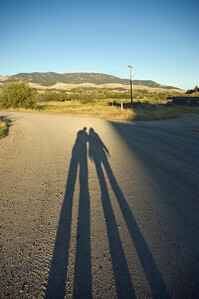 Created by a sunset at Boulder Hot Springs, Montana. 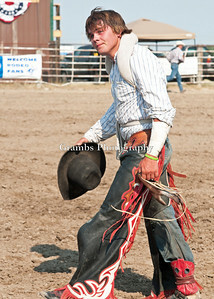 The annual July 4th "Frontier Days" event in Interior, South Dakota, is one of the oldest rodeos in the state. 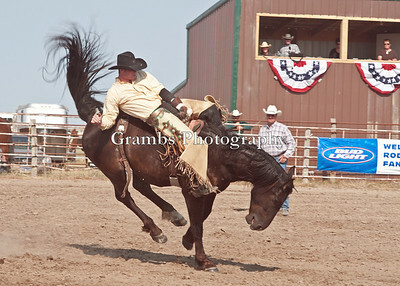 Saddle bronc riding at July 4th rodeo in Interior, South Dakota, in 2012. 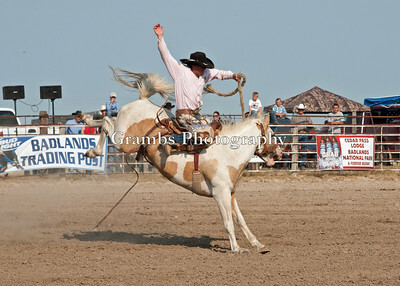 The goal for the rider is to stay on the horse for eight seconds without touching the horse with the free hand. 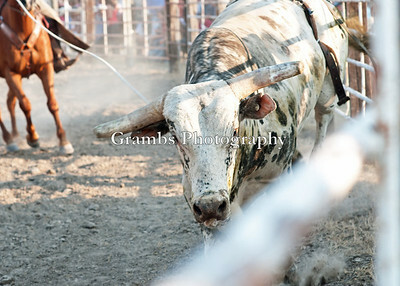 The bull hurled the cowboy from his back at a July 4th rodeo in Interior, South Dakota, in 2012. 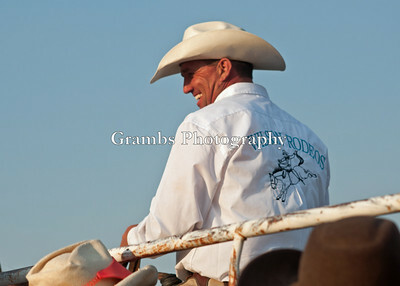 Wrangler chats with fans at Fourth of July rodeo in Interior, South Dakota, in 2012. 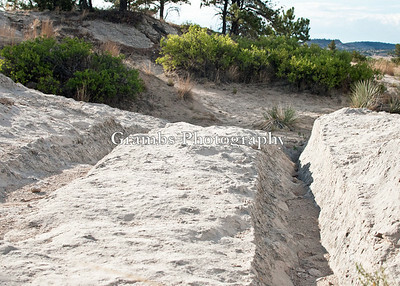 The wheels of mid-19th Century Conestoga wagons making their way west along the Oregon and Mormon trails carved into sandstone just outside Guernsey,Wyoming. The ruts are among the best preserved in the West. Ruts mark the land over which Conestoga wagons carried settlers and their belonging west along the Oregon and Mormon trails in the 19th Century. 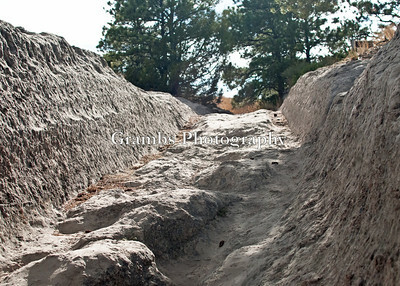 These are in sandstone at Guernsey, Wyoming, and are among the best preserved in the West. 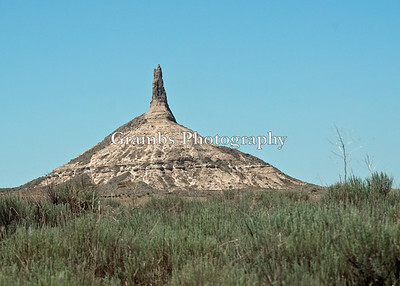 It is one of many spire-like columns in the Great American West. The distinctive shapes became navigating aids for people on the move, whether native or pioneer. 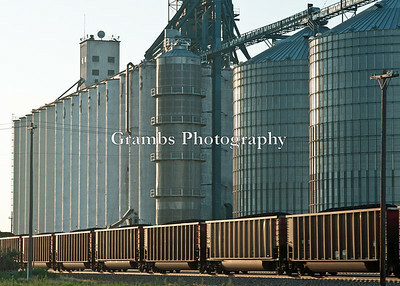 This one is in western Nebraska. 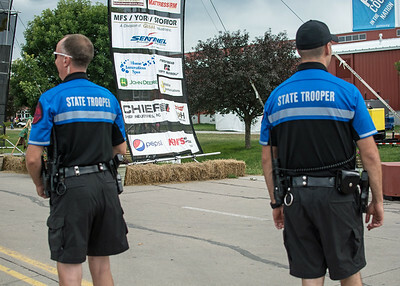 State troopers on patrol at the 2014 Nebraska State Fair. 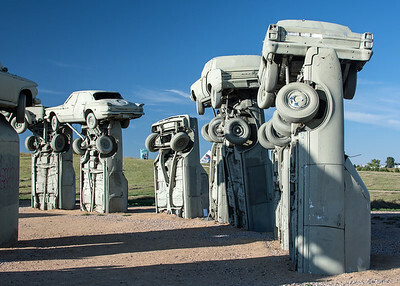 This re-imagining if England's Stonehenge is made from vintage American cars that have been spray-painted gray. 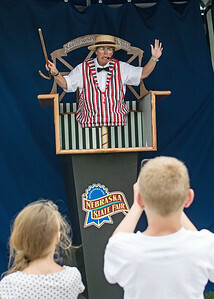 You'll find it in Alliance, Nebraska. 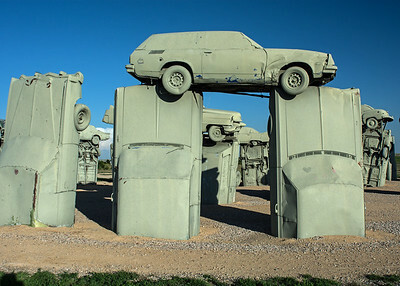 This replica of Stonehenge is made from vintage automobiles, spray painted gray. 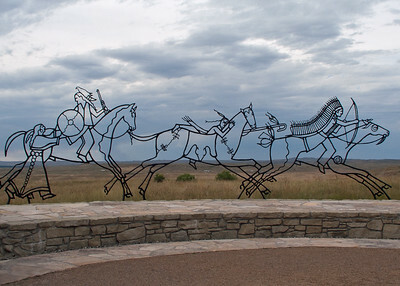 Artist Jim Reinders conceived the idea and built it in Alliance, Nebraska, in 1987 with the help of dozens of family members. 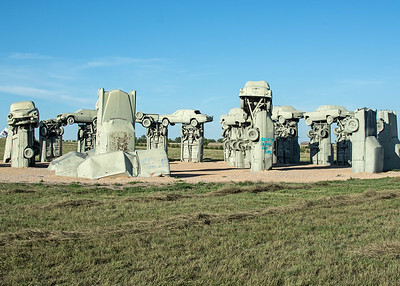 Carhenge in Alliance, Nebraska, is a recreation of England's Stonehenge and was This unique structure of vintage automobiles in Alliance, Nebraska, is called Carhenge and replicates England's Stonehenge. The creator was artist Jim Reinders, who studied Stonehenge while living in England. He conceived the work as a memorial to his father and built it in 1987 with the help of more than 30 family members. 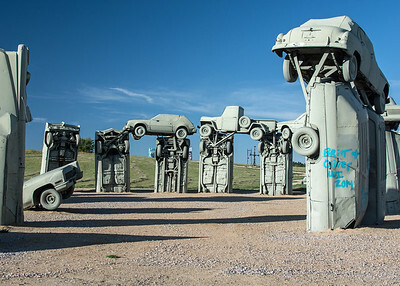 A replica of England's Stonehenge, this attraction in Alliance, Nebraska, is built with 38 vintage cars, spray-painted gray and arrayed in a circle. It opened in 1983. 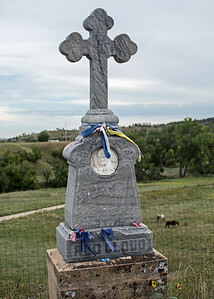 The Sioux chief 's final resting place is at the Jesuit-run Red Cloud Indian School in Pine Ridge, South Dakota. 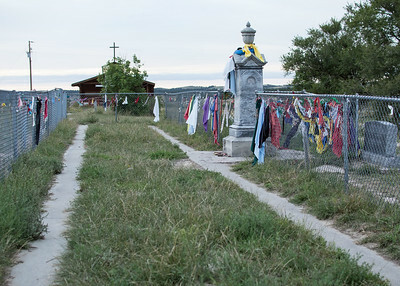 This is the mass grave for Indian victims of the 1890 encounter between U.S. soldiers and Sioux who were making their way to the reservation at Pine Ridge, South Dakota, It remains a place for mourning.